Cozy Chicks: It’s All About The Candy, Right? It’s All About The Candy, Right? I’m piggybacking off JB’s post yesterday and continuing the whole Halloween theme. I want to talk about the good stuff. The treat part of trick or treating. Halloween Peeps! Pumpkins and ghosts and bats (oh my!). My favorites are Snickers and Almond Joys, followed by Milky Ways. Reese’s Peanut Butter Cups, and Smarties. Have to have Smarties at Halloween. Candy corn following by fun size Snickers and Kit Kat. By far the Reeses Pumpkins. But I also like the holiday colored M&Ms. I have a recipe for a great sweet and salty snack mix that you can tailor to whatever holiday season it is simply by using the holiday colored M&Ms. Of course since I went on a diet and took off 80 lbs las year, I only look at candy and drool these days. 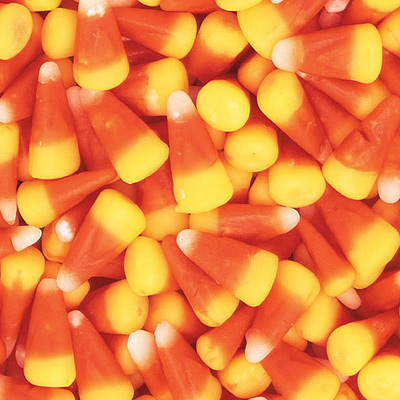 Candy corn is so addictive! It's easy to sit and eat a whole bag (oops, did I say that?). Followed by Milky Way, definitely--I have to squirrel away a few when we put candy out for the kiddies. BTW, we've been getting over 80 each year since we've moved here, and they're actually little ones, not surly high school kids. I love Halloween! I love Reese's & Almond Joy. Oh & carmel apple suckers, they are soooo good but last yr I had a hard time finding them. Reese's I love them so, so much I had to stop eating them. But now I really want one. I have never had Smarties - what are they? I have to go with Smarties and Reese's. When I was a kid, people gave homemade cookies, popcorn balls, and candy apples, along with full size candy bars. I really didn't like popcorn balls. Reese's Peanut Butter Cups. 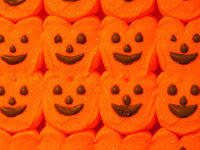 I do hand them out on Halloween (along with a mixture of other chocolate candies), but I can't buy them too soon or else I'll eat them all. 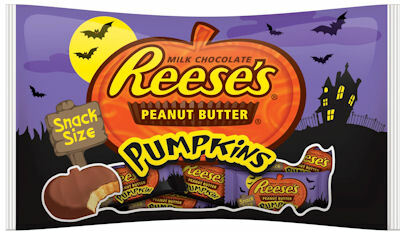 Got to be the Reese's Pumpkins! Those and the Easter eggs somehow taste better to me than the regular peanut butter cups. I'm not claiming it makes sense. The funny thing is I don't really have much of a sweet tooth. But this time of year...I can't help myself! 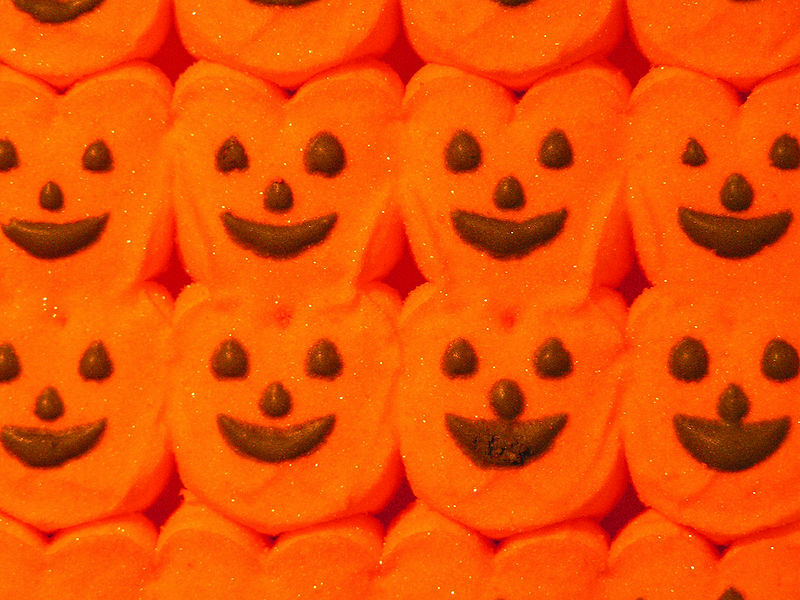 Just that smell of candy corn screams October! And yes, I try to find a least one of those weird peanut butter taffy thing in the bag, there seems to still be one neighbor around here that buys them to distribute! I have to go with the candy corn. Too many memories on that one.